“F. W.” Harvey, c. 1922. In 1934 while Ivor Gurney was languishing in the City of London Mental Hospital, the music of his friend Arthur Benjamin was thrilling British film audiences who flocked to see Alfred Hitchcock’s spy mystery The Man Who Knew Too Much. (Footnote *1) Benjamin had composed a dramatic Storm Clouds Cantata for a tension-filled scene in the Royal Albert Hall during which the heroine of the film must stop an assassin from shooting a visiting foreign statesman. The assassin has memorized the music by listening to a recording and waits patiently for the thunderous climax of cymbals which will muffle the sound of his gun. But the heroine, in desperation, screams just at the moment when the cymbals crash. The prime minister is distracted by her scream and the assassin’s bullet only wounds him. For Gurney, who enjoyed a good mystery, the film and the success of his friend’s music would have been events to celebrate had circumstances been different for him. Arthur Benjamin had once been one of Gurney’s closest friends, a man he trusted enough during his college years to call him his “confidant”. The two composers met in 1912 when Benjamin won an open scholarship to the Royal College of Music along with Gurney’s good friend Herbert Howells. Benjamin was a sophisticated and attractive young man, an experienced traveler, adept at foreign languages, an engaging conversationalist, financially well-off, living comfortably in pleasant lodgings in Bayswater, and eager to become part London social scene. The three students became close friends often attending concerts together, discussing music and literature and socializing at cafés where artists and writers gathered. Benjamin was born in Sydney, Australia on September 18, 1893, but spent his formative years in Brisbane, where he studied at the Brisbane Grammar School. He was hailed as a child prodigy and a brilliant pianist blessed with perfect pitch. His gifts had come to the attention of teacher and composer Thomas Dunhill who had met Benjamin during a visit to Australia and encouraged the boy to study in England. (*2) In 1911, he left Australia on the long journey to London to study composition with Charles Villiers Stanford, piano with Frederic Cliffe, whose wife was related to Benjamin’s father, and harmony and counterpoint with Dunhill. Benjamin pursued his studies with diligence and completed the prescribed five year course in two years. He was in demand as a chamber performer, and, in 1914, was the soloist in Herbert Howell’s Piano Concerto in C minor in the Queen’s Hall with Charles Stanford conducting. Thanks to Dunhill, several of Benjamin’s early compositions were published. At the outbreak of World War I, Benjamin enlisted in the infantry but later transferred to the air corps, becoming a gunner with the Royal Flying Corps. In August 1918, he was shot down over Germany and spent the rest of the war in a prison camp writing music. After the war he returned to Australia as Professor of Pianoforte at New South Wales State Conservatorium of Music, but remained there only two years. He missed the cosmopolitan atmosphere of London and returned in 1921 to concentrate on his performing career. He spent four years practicing and preparing and, in 1925, made his first post-war concert appearance with Sir Henry Wood. He toured extensively in Europe, the United States, Canada and Australia. In 1938, he resigned his position at the RCM and emigrated to Vancouver, British Columbia, where he taught and gave radio talks for the Canadian Broadcasting Corporation, which had become a forum for the composition and performance of music by Canadian composers. After war broke out in Europe, Benjamin, a non-practicing Jew, decided to remain in Canada and sent for his elderly mother to join him. In 1941, he was appointed conductor of the CBC Symphony Orchestra and promptly challenged conventional approaches to orchestral programming. He established the popular Vancouver Sun Promenade Symphony Concerts. Benjamin was highly regarded as a teacher and was particularly influential in the work of Jean Coulthard, who, in 1998, still had vivid memories of her teacher. “From virtually the moment of his arrival, Arthur Benjamin began to perform new music — both international and home grown. He organized the now famous ‘Proms Concerts’ of Vancouver and did his utmost to stimulate young composers...” and she credited him with infusing her with the self-confidence she needed to tackle large scale works. In 1944-45, Benjamin was a popular lecturer at Reed College in Portland, Oregon. “His vast array of knowledge on every conceivable subject, his scholarly yet every-day approach to pedagogy, his keyboard dexterity, his mature and warm interpretative ability — these are all molded into one whole, resulting in an instructor who is completely admired and who commands the utmost in respect,” wrote a reporter for the college newspaper in 1945. Benjamin returned to England in the mid-1940s and resumed teaching at the RCM where he remained until 1953. He returned to composing film music and between 1947 and 1957 produced nine scores. In 1949, he composed his grand opera A Tale of Two Cities. Benjamin’s largest commercial success was his 1938 composition Jamaican Rumba, which enjoyed numerous recordings and is still available today. Arthur Benjamin died in London on April 10, 1960. His music manuscripts are housed at the British Library. Ivor Gurney met V.A.D. Nurse Annie Nelson Drummond (Footnote *1) towards the end of September 1917 at the Edinburgh War Hospital (Bangour), where he was sent after he was gassed at St. Julien. Gurney fell in love with Nurse Drummond and they carried on a romance that ended abruptly in March 1918. Gurney continued to try to maintain contact with Annie after the war and during the 1920s when he was a patient at the City of London Mental Hospital. But she never responded. By then, Drummond was living in Wellesley, Massachusetts, happily married and the mother of a son. Until recently, little was known about Annie Drummond, the woman Gurney dreamed of getting to settle down with and make “a solid rock foundation for me to build on — a home and a tower of light” and whose “beautiful simplicity” reminded him of “the kind of fundamental sweet first thing one gets in Bach, not to be described, only treasured”. Annie Nelson Drummond was born on November 9, 1887 (*2) in the village of Armadale, West Lothian, Scotland. She was the eldest of five children of Margaret Boyd Drummond, a successful milliner, and Robert Drummond a coal miner who worked the pits north of Armadale. With her parents away from the home for long periods of time, the care of her four younger brothers became her responsibility. Although she had little time for herself, she took piano lessons and, living in a small village anchored in a barren, wind-swept landscape, she became sensitive to beauty and found great comfort in her love of flowers and birds. When her brothers were old enough to look after themselves and each other, Annie began to studying nursing but she interrupted her studies when war broke out and instead joined the Scottish Red Cross Territorial Brigade. 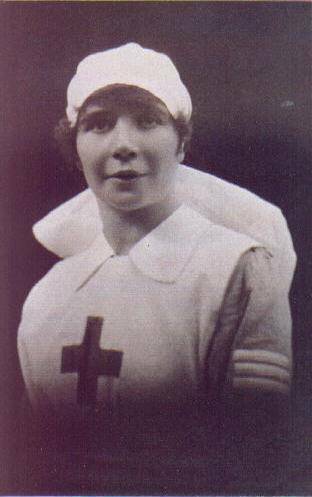 She completed studies offered by the Red Cross in advanced nursing and eventually volunteered to serve at the Edinburgh War Hospital, some nine miles from her home. After her relationship with Gurney ended, he sent her a copy of the book Poems of To-Day inscribed “To Nurse Drummond, With thanks for joy and best wishes for all things to come, September 1918, From Ivor Gurney, S. Albans”. Annie stayed on at the Edinburgh War Hospital after the war ended and in April 1919 met Sgt. James L. McKay, of the Black Watch, who was being treated for a concussed eardrum. McKay was the youngest of five children born in Forfar, Scotland on December 19, 1886. Before the war he was a textile worker and had been a professional soccer player until an injury ended his promising career. Annie and Jim became engaged and he left for America in 1920 armed with a letter of introduction to Wellesley College, a prestigious college for women in the affluent Boston suburb. He was hired as a carpenter and as soon as he was established in his new job, he sent for Annie who joined him in 1921. She found employment as a cook for a Wellesley family, but shortly after settling in, the house was destroyed by fire. In her rush to escape the burning building, Annie managed to save a few photographs, her nursing certificates, and the book of poetry Gurney had sent to her. All of her other belongings were destroyed. On September 4, 1922, just several weeks before Gurney was declared insane and admitted to Barnwood House in Gloucester, Annie Drummond and Jame McKay were married in a simple ceremony in Wellesley. In 1924, their son John was born. As older parents — both were 38 — they were very protective of him, and he became their “supreme joy”. Tragically, on a cold February afternoon in 1931, John was struck by a delivery truck while playing with two other children in front of his home. He died the next morning. The McKays were devastated, but in 1932, Annie, at the age of 46, gave birth to a daughter, Peggy Ann, who later described her mother as “a cheerful companion” to her during her childhood and teenage years. The McKays became prominent in the Wellesley community, where James was now head carpenter at the college and Annie was active in various organizations, winning local fame for her special cakes and desserts. She was regarded as a “talented and lovely-looking woman” by those who knew her. The McKays also built a handsome house of Jim’s own design that remains a showplace in the town today. Annie’s love of beauty found expression in the magnificent gardens that she and her husband created on the grounds of their home and which they opened to the public every year at graduation time at Wellesley College. The McKays returned to Scotland for period visits, but during World War II, when she was unable to go home, Annie contributed to the war effort by knitting clothing which she sent to Scotland for use by soldiers. In the early 1950s Annie’s family and friends began to notice dramatic changes in her as she became increasingly withdrawn and seemed to be losing touch with reality. The last eight years of her life were agonizing for her and her family as she slowly slipped into a world of her own and began wandering away from her home. Her condition, not unlike that of Alzheimer’s suffers, deteriorated so badly that she had to be hospitalized for the remainder of her life. She died from heart disease on May 21, 1959. Shortly after her mother’s death, Peggy Ann found an old leather suitcase containing what she knew were her mother’s “most treasured possessions” tucked away in Annie’s clothes closet. Among the random memories of a life that had ended similarly to Gurney’s, Peggy Ann found the copy of Poems of To-Day inscribed to Nurse Drummond, which Annie had saved from the fire, and the score of Gurney’s The Western Playland (and of Sorrow) dedicated to Drummond. 2. Note by Pamela Blevins: Update on Annie Drummond McKay’s Age: When I began doing my research on Annie Nelson Drummond, I was told by a family member that Annie was born in 1886 and that she was one month older than her husband. At times I have questioned the accuracy of this date because information available in various official documents seemed to indicate that she was born in 1887. However, even official documents, like memory, can sometimes be faulty. For example, on their September 1922 marriage certificate, both Annie and her husband James are listed as being 35 years. I knew that she was born in November and James was born in December so I assumed that at the time of their marriage each was indeed 35 years old and would celebrate their 36th birthdays later in the year. Why would they say they were 35 if they weren’t 35? But Annie’s age on her death certificate issued in May 1959 is 71, which means that she would have celebrated her 72nd birthday in November 1959, which means she was born in 1887. I also have a copy of a census record that indicates she might have been born in 1887. And then there is Ivor Gurney’s letter written around January 1918 in which he says Annie is 30, which would have put her 30th birthday in November 1917. Joy Finzi was a 20th century renaissance woman who possessed extraordinary vision and a remarkable gift for anticipating new trends before they began. She was an artist, sculptor, poet, musician, and organizer who, as we say today, “made things happen”. And she was to be one of the most important people in Ivor Gurney’s life even though they never met. For more than 30 years, Joy worked tirelessly, first with her husband Gerald Finzi and later alone in trying circumstances, to ensure that Ivor Gurney’s work, correspondence, and the story of his life be preserved for future generations. 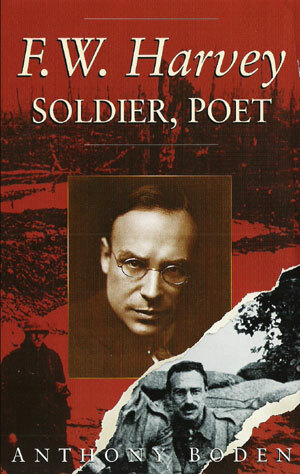 Starting in the 1930s, Joy, Gerald and their friend Howard Ferguson undertook the massive task of sorting and cataloging Gurney’s poetry and music which was in the possession of his friend and guardian Marion Scott. Later, after Gerald’s death, it was Joy Finzi who had to deal with the difficulties imposed by Gurney’s brother Ronald, who, at times, threatened to destroy all of Ivor’s papers and refused to allow publication of his work. At other times, Ronald threatened to take legal action against Joy, warning her that “as my brother’s administrator, I don’t intend to let anyone usurp my position”. Joy Finzi refused to let Ronald Gurney intimidate her. Eventually he relented and placed Ivor’s papers in the Gloucester Library where they remain today on permanent loan. Joy Finzi was born Joyce Black in Hampstead on March 3, 1907 to Ernest Black, a prosperous businessman, who was an ‘East India Merchant’, and to Amy Whitehorn. Little is known of her father’s family background, but her mother was of Scottish descent. The Blacks’ eldest son, Harold, was born in India in 1890 but died when he was 18 months old. A second son Geoffrey was born in 1892 in England and died from blood poisoning at the age of 21. Joy’s younger sister Margaret or ‘Mags’ was born in 1909. Joy was educated at Moira House in Eastbourne, where the family had settled after her father’s retirement. Tall, fair, graceful and radiant, the young Joyce Black possessed the kind of beauty admired by the Pre-Rhaphaelite painters and abilities that ranged from music to tennis. She seemed to excel at whatever she attempted. Early on, Joy’s contemporaries recognized her extraordinary abilities and one friend later described how she stood in awe of Joy and “looked up to her as one with brilliant gifts in everything”. She studied violin and, after her marriage, sculpture and pottery at the Central School of Art and Design. Gerald and Joy were married on September 16, 1933 at the Dorking Registry Office with Ralph and Adeline Vaughan Williams and Mags Black as the only witnesses. They lived in London but soon moved to Aldbourne, an attractive village in Wiltshire, where they bought Beech Knoll, a substantial early 19th century house with large grounds. Their first son, Christopher, was born in 1934; their second son, Nigel, in 1936. In 1939, the Finzis moved to Ashmansworth and their new home, Church Farm, designed by architect Peter Harland, who had also created a house for composer Arthur Bliss. Their view looked out across rolling fields and hills, the Hampshire Downs and, on a clear day, the Isle of Wight, shimmering in the distance. Joy’s first pencil portrait was of the six-year old Christopher asleep. Gerald immediately recognized an unusually strong gift and encouraged her to draw more. She spent time drawing friends and country people in conversation with Gerald, an exercise which led her to discover the “fascination of trying to catch a fleeting aspect and learning that everything is laid down in the face and often hidden in mobility”. Her pencil portraits, which express force, character and craftsmanship like those of Da Vinci and other Renaissance artists, captured what was indeed hidden in the faces of a wide range of subjects including composers Gerald Finzi, Ralph Vaughan Williams, Howard Ferguson, writers Ursula Le Guin, Sylvia Townsend Warner, war poets Edmund Blunden and David Jones, conductor Sir Adrian Boult, and people who led quiet, ordinary lives like “Smithy — Mrs. Smith — Country child — London char” and “Pu”, Howard Ferguson’s Irish Nanny from County Monaghan. In 1987, the Libanus Press published a collection of Joy Finzi’s portraits in a book entitled In That Place. Her portrait of Vaughan Williams is in the collection of the National Portrait Gallery in London. Joy also became the administrative force behind the organization of the Newbury String Players, which had been founded by Gerald in 1940. Joy’s job was to find the players. She also served as one of the second violinists. Later both Christopher and Nigel joined their father’s amateur orchestra. Together Gerald and Joy encouraged young musicians like Julian Bream and composers like Kenneth Leighton by providing them with engagements and performances of their compositions. In addition to preserving Gurney’s work, the Finzis also played important roles in the preservation and cataloguing of the music of Sir Hubert Parry. After Finzi’s death in 1956, Joy along with her sons and Howard Ferguson founded the Finzi Trust and under its auspices most of Gerald’s music was recorded, first with Lyrita and later by Hyperion, Chandos and EMI. The work of the Finzi Trust has never been limited to Finzi’s music alone and has supported recordings and performances of music by other composers, including Gurney. Joy also encouraged artists in all fields and took a particular interest in the paintings of Benedict Rubbra, the son of composer Edmund Rubbra. Joy eventually moved to her cottage Bushy Lease in Leckhampstead, where she built a studio that looked out over a view that had not changed in centuries — fields, an ancient cottage, the distant hills, nothing that marked the landscape as being of the 20th century. Her home was surrounded by gardens and attracted a variety of wildlife, particularly birds that Joy fed every morning. Her home was always open to friends and became a sanctuary for those who needed a break from the pressures of work or neighbors who dropped by for a visit. “One almost felt that she had some intuitive rapport with natural life, some atavistic resonance with the past which were embodied in the character of cottage and garden...Frequently she reminded me of the timeless, eponymous sage of Edward Thomas’s poem ‘Lob’,’ recalled Andrew Burn, a founder of the Finzi Trust Friends. In addition to her drawing, Joy wrote poetry and published two collections: A Point of Departure (1967), with engravings by Richard Shirley Smith, Twelve Months of the Year (1981) with engravings by Simon Brett. In March 1991, Joy suffered a broken hip in a fall at her home and endured two operations since the first one to fix her hip was done incorrectly. She did not want her life prolonged unnaturally and returned to the home she had shared with Gerald to be cared for by her son, Christopher and his family. She was ready to die and refused all food and medication. “It was a great relief for all of us for her to return to Ashmansworth, and get out of a hospital dedicated to making you live,” recalled her son Nigel. When Nigel returned to England from abroad, he found his mother “still just able to talk, as she lay in peace looking out over the green hills, with the spring flowers and blossoms in full array. This green world, or light, was a wonderful delight to her, and all she wanted to do between sleeping was see it and sense it,” said Nigel. Joy Finzi died on June 14, 1991 at the age of 84. Gerald Finzi did no favours for posterity when he called Marion Scott a “possessive, incompetent, mulish old maid” and a “fragile fool” and referred to her unflatteringly as “Maid Marion”. Sadly, these words, written by an exasperated Finzi, have stuck, casting a shadow across the luminous personality and accomplishments of Marion Scott. It is easy enough to understand Finzi’s frustration with Scott who seemed, from his perspective, always to be placing obstacles in his way as he and his wife Joy and their friend Howard Ferguson tried throughout three decades to wrest Gurney’s manuscripts — and cooperation — from her. What is not easy to understand is why contemporary writers cling to Finzi’s short-sighted, demeaning view of Marion Scott when it reflects his personal experience only and hardly presents a true picture of the remarkable woman she really was, what she did to help others, and what she accomplished often in the face of personal hardship. Ivor Gurney certainly saw her differently. At the time Gurney met her in 1911, Scott was 34 years old, a petite but assertive woman who possessed a limpid beauty that would have appealed to the Pre-Raphaelite painters. She was a natural leader, still young enough to be idealistic but mature enough to know how to channel her idealism into practical schemes that benefitted many people. 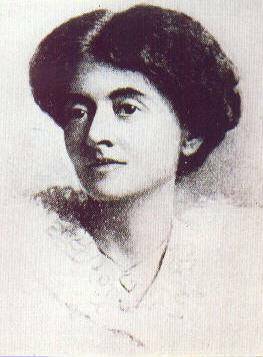 She also preferred the company of younger men and was known to have love affairs, one likely object of her affection being Ernest Farrar (1885-1918), who later became Finzi’s teacher. Another was a well-known music critic. Scott was half-American and possessed the adventurous, aggressive and visionary traits of her enterprising Prince family of Salem, Massachusetts. Her great-great grandfather Henry Prince I (1764-1846) went from being a distillery worker to cooper’s apprentice to sea captain and ship owner in less than ten years. He was an explorer and entrepreneur, who opened trade routes to the Pacific and Africa, helped advance the science of celestial navigation, bought and sold slaves, and made and lost fortunes. His son, Henry II (1787-1837), was a lieutenant in the U.S. Revenue Service (now U.S.Coast Guard), and his grandson, Marion’s grandfather, George Prince (1821-1900), ran a family merchantile business in St. Petersburg, Russia, where he was sent at the age of 16 after the death of his mother. During one of George Prince’s visits to Massachusetts in 1850, he married and began his family. Two daughters, including Marion Scott’s mother Annie (1853-1942), were born in Salem but in 1854, the Prince family returned to St. Petersburg, where four of their seven children were born. One child was born in England. Annie Prince grew up in St. Petersburg but left when she married Sydney Scott (1850-1936), a young English solicitor in St. Petersburg in 1876. (Footnote *1) The couple returned to England and settled in Sydenham, where their first child, Marion Margaret, was born on 16 July 1877. The Scotts were cultured, liberal and unconventional. They encouraged their children to be free spirits and believed that they would best be educated by tutors and European travel and by having abundant free time to explore the worlds of their own imaginations. Marion enjoyed great freedom, wrote poetry, read detective stories, rode in locomotives, played chamber music with her father and his friends and began performing in public at an early age. Her first instrument was the piano but she later switched to the violin, a “true friend who knows my thoughts and gives them speech”. She was fluent in German and French. Although Scott’s “slightly apologetic voice” and fragile appearance gave the impression of helplessness, she was, in fact, a tough, pragmatic and strong-willed woman who possessed “steel-like courage”. Her friend Herbert Howells observed, “...strong men accepted her as their equal. The most masterful and domineering musician I ever knew once confessed that the only woman he feared was Marion Scott”. For her part, Marion Scott respected many people but she feared no one. If someone wronged or hurt her, as she felt Ernest Farrar had done in 1911, she never let that person into her life again. Like her ancestors, she was willing to go where no one had been before and take risks no matter what the consequences might be. She was open-minded, a trait which benefitted many aspiring composers whose work she was the first to champion, including Michael Tippett and Paul Hindemith. She had a fine analytical mind and wrote sensitive, discerning music criticism particularly of contemporary music. She became a critic writing for various publications including the American-based Christian Science Monitor, serving as its anonymous “special correspondent” from London. Scott used her position with the Monitor to promote her British friends, including Herbert Howells, Thomas Dunhill, Arthur Benjamin, Gustav Holst and Ivor Gurney, in the United States. In addition to her work as a critic, musician and musicologist, Scott actively championed contemporary British music, fought for women’s rights, worked as the secretary of the RCM Union, lectured extensively on music and musicians, wrote articles and programme notes, became the editor of the RCM Magazine, organized concerts, helped young musicians forward their careers, and pursued an interest in Franz Joseph Haydn that would lead to her becoming an internationally recognized authority on the composer. In 1934, Marion Scott’s acclaimed spiritual biography, Beethoven, appeared in The Master Musicians series. It is a classic that has been reprinted many times, but its place in the series has been usurped by a more astringent contemporary account of the composer’s life. Scott’s view of Beethoven belongs to the Aquarian age and reveals her own profound insight as a mystic. Few people were aware that she was a practicing metaphysician, one who moved beyond the illusions of the physical world and relied upon spiritual forces to guide her, especially in her creative work and in her troubled relationship with Ivor Gurney. When Marion Scott was in need of solace and strength, she retreated to the mountains of Switzerland to find answers and peace. Mountains are the “messengers of God”, she believed. Marion did not merely gaze at mountains from a safe distance, she climbed them. Scott, c. 1922. Throughout her life, Marion Scott battled ill health courageously, yet she managed to accomplish a great deal in spite of it. She suffered from chronic intestinal trouble and anemia, had undergone at least one major operation in her 30s, and a 1916 illness nearly killed her. She was particularly prone to infections and influenza and had suffered injuries in accidents. Her worries over Ivor Gurney, first when he was at the Front during the Great War, and later when he was in the asylum, added anxiety to her life and she suffered periodic bouts of depression as a result. This constant anxiety most certainly aggravated her intestinal disorder. In addition to her concerns for Gurney, Marion Scott shouldered the care of other family members and friends, including pianist Fannie Davies, in her own household from 1908 to 1949. She and her parents also had the responsibility of raising a child from infancy — her niece Audrey whose mother, Marion’s youngest sister, had died shortly after Audrey’s birth. Although she had money, Marion Scott was not a dilettante. She chose to live a full and active life that included working different jobs, each very demanding and time consuming. In addition, she also played active roles in various organizations, including the Royal Music Association, the Royal Philharmonic Association, the Musicians Benevolent Fund, the Critics’ Circle, the London Society Music Centre and the Haydn Society. During World War II, Marion Scott and her family left their bomb-scarred London home and spent some three years in “involuntary exile” in Somerset. Her mother died in 1942. The family returned to London, but in 1945, her sister Stella Fahey suffered a severe stroke that left her completely disabled. Her care fell to Marion, who was approaching 70, and to Stella’s husband, who was in poor health himself. The situation was so desperate for them that Marion’s physician pleaded with authorities to give the family priority in obtaining domestic help. At this particularly difficult time for Scott, Gerald Finzi continued to prod her about the Gurney manuscripts, and progress was being made. 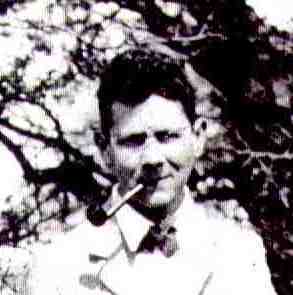 Oxford University Press had published two volumes of Gurney’s songs and a third was in the works and Finzi was turning his attention to the poems. On 20 September 1949, three weeks after volume three of ten Gurney songs had been accepted for publication by Oxford University Press, Marion Scott wrote to Alan Frank at OUP: “I have just come through one of the hardest and saddest experiences of my life. My only remaining sister died 3 weeks ago after a long, cruel illness and her husband is so ill that I don’t think he will long survive her.” Everyone whom Marion Scott had loved, with the exception of her niece Audrey, had died. In the early 1950s she published nearly two dozen articles and programme notes about Haydn and was working on her own book about him. At the same time, she was assembling what would become the “unprecedented” Catalogue of Haydn’s Work for the 1954 edition of the Grove’s Dictionary of Music and Musicians. However, a cloud loomed over her activities when she found herself in the uncomfortable position of wrangling with the Gurney family over financial matters. Scott was infuriated when she learned that Ivor’s sister Winifred was circulating “completely false statements” that she was withholding large sums of royalty money due the family. Then, in July 1953, Marion Scott’s health broke down completely. She had colon cancer, but she continued to work daily for as long as she could, relying on friends to go to the library for her while she wrote at home. “My parting sight was of her propped up in her bed looking very pretty and mentally the Marion Scott we had always known,” recalled former RCM student Dorothy Mortimer Harris. Two weeks before Marion died, Gerald Finzi wrote to a friend saying how ill she was and that it was tragic to see her so helpless. She died on Christmas Eve, 1953 just two days before the 16th anniversary of Ivor Gurney’s death. 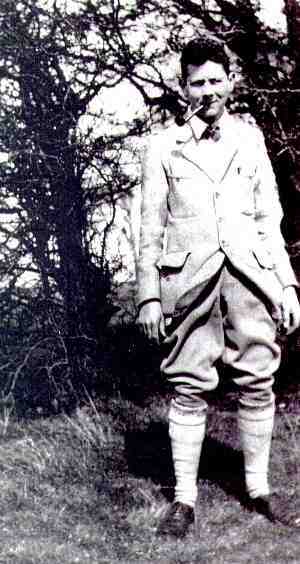 Gerald Finzi, photographed by his mother on a hill outside Winchester England, in 1925. Frederick William “Willy” “Will” “F. W.” Harvey, c. 1922 (1888-1957). Herbert “Howler” Howells, c. 1920 (1892-1983). Thanks to Pamela Blevins for contributing several of the above photographs. Many of the rest come from Michael Hurd’s Ordeal of Ivor Gurney (Oxford University Press, 1978).